People with diabetes need to take special care with their diet to keep their blood sugar levels within the appropriate range. 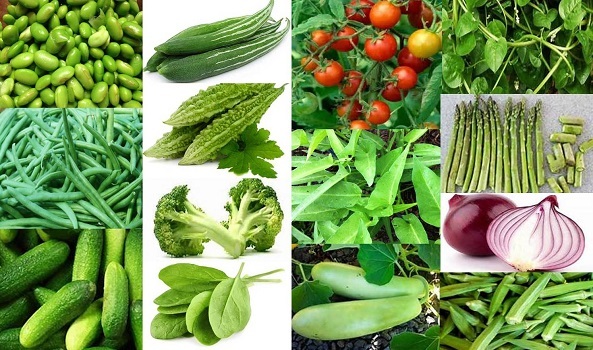 As such, there is much to explore in good vegetables for diabetes not only to balance sugar level but also to fill your body’s essential demand of vitamins, riboflavin, calcium, iron, manganese, magnesium, potassium, and other important minerals. Never will you hear from a doctor or someone with knowledge of nutrition will tell you not to eat vegetables. 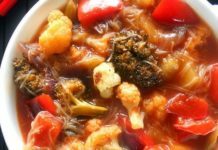 Vegetables are said to be a power house of nutrients and diabetics benefit more from vegetables as they are rich in fiber. Even for those in need of losing weight, vegetables are the best choice for them as these are foods low in calories and saturated fats. Top 14 good vegetables for diabetes are discussed here as those are super healthy foods for diabetes. 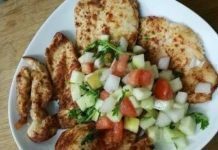 Hence, those Type-1 and Type-2 diabetic including those at the pre-diabetic stage are advised to pick those good vegetables for diabetes which regulates your body’s smooth functioning of different organs, or prevent/repair damages caused by diabetes, or check you from falling into the Type-2 condition. The American Diabetes Association (ADA) denotes spinach and such green leafy vegetables are super healthy foods for diabetics, both type 1 and type 2[i]. Spinach is one of the most nutrient-dense foods in existence, more than 20 different measurable nutrients, including dietary fiber, calcium, and protein. One cup of the leafy green vegetable contains far more than your daily requirements of vitamin K and vitamin A, almost all the manganese and folate your body needs and nearly 40 percent of your magnesium requirement. Thus, spinach, being low in calories and high in vitamins and minerals, stands at the top of all good vegetables for diabetes. 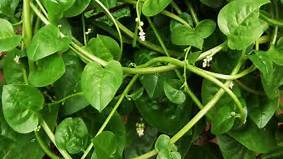 Water spinach is one of the very good vegetables for diabetes as it can absorb the excess blood sugar[ii]. 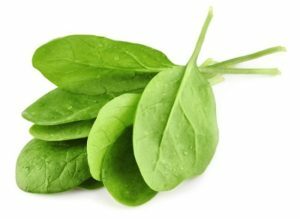 It is very rich in vitamins C. Even it is said, that the content of vitamin C in spinach are more than the vitamins in fruits. 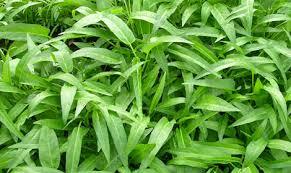 Hence water spinach is not only anti-diabetic mellitus, but also it can increase your immunity. Many other health benefits of water spinach make it super healthy foods for diabetes. It is a rich source of iron. 100 gm of water spinach provides approximately 2.5 mg iron. 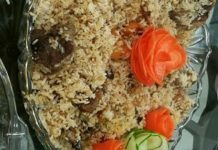 Thus, it is also a rare vegetable to increase hemoglobin and prevent anemia. In addition, water spinach can also relieve constipation because it contains high levels of fiber. Basella abla or vine spinach is a popular tropical leafy green vegetable produced in most of the monsoon-fed regions of Asian and African countries The green leaves and violet veins of basella alba contain proteins, fat, vitamin A, vitamin C, vitamin E, vitamin K, vitamin B9 (folic acid), riboflavin, niacin, thiamine and minerals such as calcium, magnesium, and iron[iii] making it as one of the good vegetables for diabetes. This vegetable regulates blood pressure, helps to reduce cardiovascular disease and increase heart health. Its thick fleshy leaves facilitate smooth digestion and help to prevent bowel problems. The fiber diet and its mono-saturated fat reduce LDL cholesterol and increase the HDL (good) cholesterol. Persons with Type -1 and Type-2 diabetes should be encouraged to eat good amount basella leaves daily as healthy foods for diabetes to manage and lower their sugar level[iv]. Asparagus has very low sugar content, low glycemic index, zero fat and lots of fiber. It is a balanced vegetable filled with B vitamins (B1, B2, B3, and B6), Vitamin C, Vitamin A, Vitamin K, and different minerals (manganese copper, phosphorus, potassium, and selenium[v]. 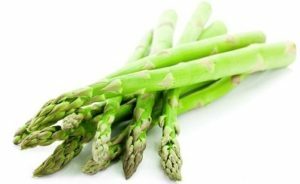 Scientists have found asparagus as one of the good vegetables for diabetes. Regular intake of this increasingly popular vegetable keeps blood sugar levels under control and boosts the body’s production of insulin and hormone that helps it to absorb glucose. Broccoli is one of the healthy foods for diabetes which you can make as home treatment including it in your diabetic foods list. 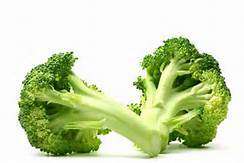 It contains 5 grams of fiber for a 1/2-cup serving and contains only 50 calories, but it is also recommended because certain chemicals in broccoli which help prevent damage caused by the blood vessels by diabetes[vi]. The key is the presence of the compound in broccoli called ‘sulforaphane’, Researchers have found that the compound sulforaphane, found in the vegetable results production of enzymes which protect blood vessels and reduction in the number of molecules that can damage cells. Beta cells in the pancreas produce the hormone insulin. Cucumber is found to get a hormone required by the beta cells in the insulin production[vii]. 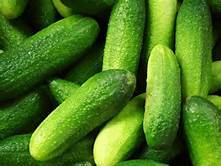 Moreover, the Glycemic Index of cucumbers is found to be zero and you’ll need to eat a good amount cucumber to get 50 grams of carbohydrate at a time. Thereby, it will have less rise in blood glucose even you eat more of such good vegetable diabetes. Cucumber has also healing properties for skin infections. Diabetics are prone to various skin diseases so eating cucumber can help in combating the ailment. It also reduces blood pressure and helps prevent constipation, reduce the risk of kidney stones, keeps body healthy and functioning. Onions are the most common ingredients for almost every cooked recipe. 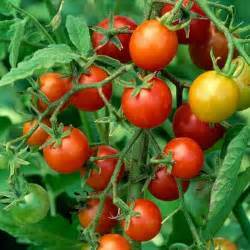 It is also a popular vegetable for salad and salsa. Researchers have found that red onion reduces blood glucose level in both Type-1 and Type-2 diabetics[viii], thus putting it into the category of healthy foods diabetes. 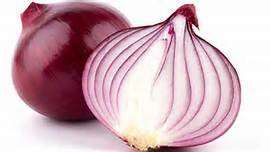 Red onion contains several anti-cancer compounds including ‘quercetin’ and ‘anthocyanins’. It is learned that people with the highest consumption of onions have a lower risk of many types of the disease – including ovarian, bowel and breast cancer. Tomatoes are a rich source of vitamin C, vitamin E and beta-carotene and almost every conventional antioxidant that helps reduce the risk of complications associated with adult diabetes. They also contain high levels of ‘phytonutrients’ like flavones and carotenes like ‘lycopene’ and ‘lutein’. These antioxidants protect the body by reducing lipid peroxidation. This is a process of oxygen damage to fats in the bloodstream or in cell membranes. Studies involving tomatoes have shown that its antioxidant properties offer protection to the kidneys and bloodstream, the two areas that are frequently affected by diabetes[ix]. Thus, tomatoes can be included in your regular diabetes foods list as healthy foods for diabetes. Bitter gourd, also known as bitter melon or karela (in Hindi/Urdu), or korolla (in Bengali) is a unique vegetable-fruit that can be used as food or medicine. It contains at least three active substances with antidiabetic properties[x], including ‘charantin’, which is found to have a blood glucose-lowering effect, ‘vicine’ and an insulin-like compound known as ‘polypeptide-p’. 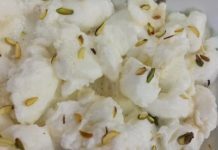 These substances reducing blood sugar levels prove bitter melons as good vegetables for diabetes. 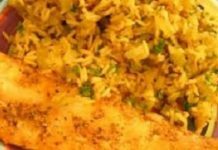 It either work individually or together to help Another substance that bitter gourd contains is called ‘lectin’. 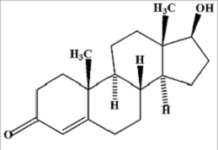 This lectin acts like insulin by reducing blood glucose concentrations in peripheral tissues and suppressing appetite. Bitter gourd also helps reduce the symptoms of diabetes by clearing the heat toxins and stagnation from the digestive system. Chinese medicine considers food or digestive disorders to be one of the major causes of diabetes. Because the disorder results in the buildup of heat and toxins in the digestive system, it, therefore, leads to the sugar imbalance in the body. 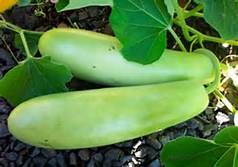 Bottle gourd is one of the earliest vegetables cultivated by man, believed to be originated in Africa, also known as Lauki or Doodhi in India and ‘lau’ in Bengali. It has always been regarded as one of the healthiest vegetables. This very versatile vegetable is full of water (about 92%) and minerals and keeps your body hydrated. Bottle gourd has also a rich source of vitamin C, K, and calcium. It helps in maintaining a healthy heart and brings down bad cholesterol levels as the other healthy foods for diabetes. Bottle gourd juice is an excellent remedy for the excessive thirst caused by diabetes, diarrhea, and over-consumption of fatty foods. The juice is also beneficial for diabetic patients as it stabilizes the blood sugar level and maintains blood pressure[xi]. 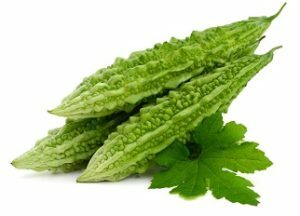 Snake Gourd contains significant levels of dietary fiber, high levels of protein, variety of nutrients, vitamins (vitamin A, vitamin B, vitamin C), and minerals (manganese, magnesium, calcium, iron, potassium, and iodine) that are essential for human health. It helps improve the strength of the immune system, reduce fevers, detoxify the body, improve the digestive processes of the body, and increase hydration in the body and aid in weight loss. 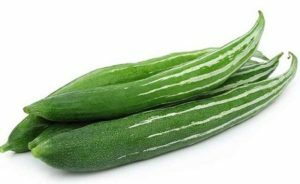 Due to its low-calorie and high-nutrient composition snake gourd becomes one of the good vegetables for diabetes. 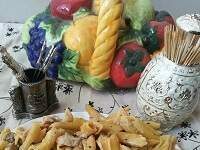 It can be a remedy for existing condition by reducing the excessive weight[xii]. 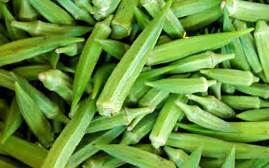 ‘Okra’ in American term, also known as ladies finger has long been favored as a food for the health-conscious. Okra has been suggested as a herb to reduce blood sugar in cases of type 1, type 2, and gestational diabetes[xiii]. 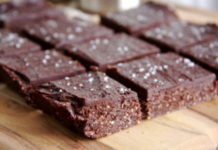 It contains potassium, vitamin B, vitamin C, folic acid, and calcium. It’s low in calories and has high dietary fiber content make it a lot beneficial for health including herbal treatment of diabetes. Drinking water soaked with okra plant has been studied and proven to have a positive effect on lowering blood sugar. Roasted okra seeds have long been used in Turkey to treat diabetes. Persons with uncontrolled diabetes over the long term suffer from a number of complications including kidney diseases. Diabetes is one of the leading causes of kidney failure. The earliest sign of this complication is small amounts of protein in the urine. 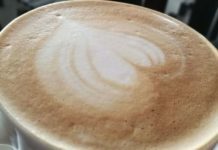 Studies have found that people with diabetes-related kidney disease have improved their urine protein level by adding a regular amount of soy protein[xiv]. 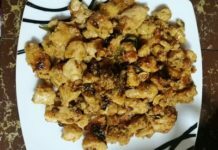 The surprising evidence of foods rich in soy bioactive compounds called ‘isoflavones’ to lower diabetes and heart disease risk makes soy as one of the healthy foods for diabetes. 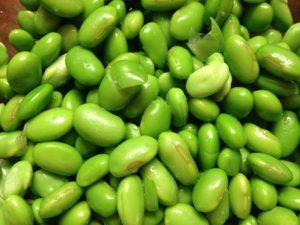 Eating soybeans has been shown to lower cholesterol, decrease blood glucose levels and improve glucose tolerance in people with diabetes. 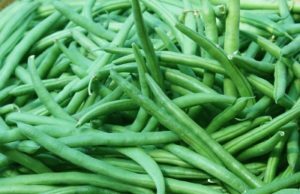 Green beans are a rich source of vitamin C gives the beans antioxidant properties as the other good vegetables for diabetes. It’s an excellent source of fiber (at least 15% of recommended DV) makes it a good choice for anyone looking for a healthier lifestyle and can even help regulate blood sugar levels. It helps regulate overall cholesterol, prevent cancer-causing substances from entering our colon, and promote regular bowel movements leading to a healthier digestive system. Low in calories and carbohydrates, non-starchy vegetables make an excellent choice when you are on a diabetes diet.